Carpenter & Paterson (Asia) Ltd.
Carpenter & Paterson (Asia) Ltd. (or CPA) is a Thailand based company that offers a comprehensive range of Pipe Support components. Their strategic location in Thailand, combined with their expert Western know-how, designs and quality standards enables them to offer extremely competitive and high quality solutions to clients worldwide. The CEO of Carpenter & Paterson Asia contacted me through my website with the request for a website for their company. After a short meeting on Skype with CPA’s CEO and CPA’s head of marketing we drafted a website development plan together. 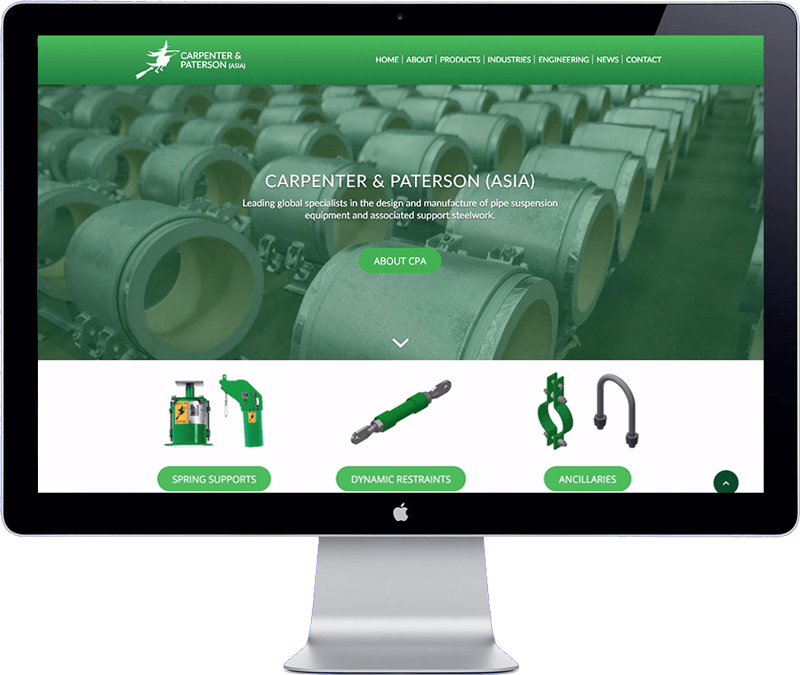 The new website reflects their brand identity, it informs visitors about their latest products and services. The website is easy to update, optimized for search engines (SEO), loads fast and is secure. The website has been developed with the WordPress Content Management System. CPA’s staff received training over Skype on how to make simple updates on the website.